The creative process can be a funny thing. When I began working on our March feature—all the way back in November—our initial idea was to talk to interesting folks about the hurdles they’d overcome on the path to success. 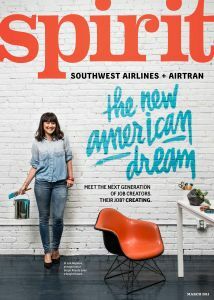 That idea went through several incarnations, eventually morphing into “The New American Dream,” a story about how more and more Americans have begun trading in their corporate jobs for unconventional occupations they love. But taking the road less traveled isn’t often without its bumps along the way. As Editorial Director Jay Heinrichs writes in his editor’s letter this month, “As more of us quit our day jobs and become free agents, ultimate success belongs not to the most talented or the hardest working, but to those who recover best from bad luck and their own mistakes.” Taffy Brodesser-Akner, the Los Angeles–based writer who penned our feature, came to the same conclusion. Every venture is susceptible to failure; the secret to success often lies in the willingness to try, and then to keep trying. “Nothing that can yield great happiness—love, career, growth—is without risk and the inevitability of failure,” she writes. Taffy interviewed a web programmer turned furniture maker, a graphic designer turned chocolatier, and a secretary turned Etsy seller, among others. 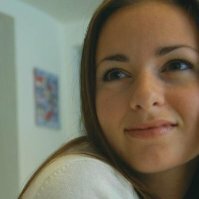 In doing so, she discovered that the thing these creative entrepreneurs all have in common is, quite simply, they did it. They put their reservations behind them and chased their dreams with dogged determination; in short, they were brave. They are also inspiring. 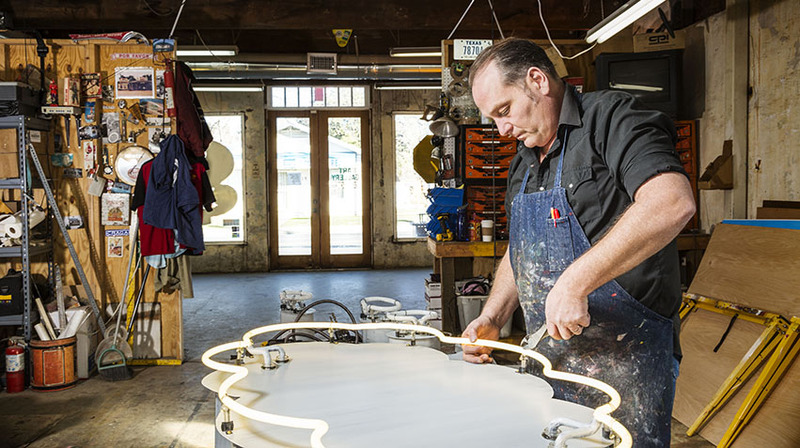 I was lucky enough to interview neon artist Todd Sanders (pictured right) at his studio, Roadhouse Relics, in Austin, Texas. Even though it was an icy day near the end of January—a fairly rare occurrence in this neck of the woods—I was surprised by how many people stopped in off the street, drawn to the bright lights. I spent the entire afternoon with him, and, looking back, my overall impression is that he truly loves what he does. It may sound like a cliché, but this is a man who’s put it all on the line, even living in a trailer outside of town without water or electricity, so he could flip the switch on his glowing neon dreams. Leaving behind the familiar can feel risky—actually, it should feel risky—but, ultimately, we hope you’ll agree with the New American Dreamers that it’s worth it. Want more? Read the full story here.